Today’s bride is a girl who knows exactly what she wants. 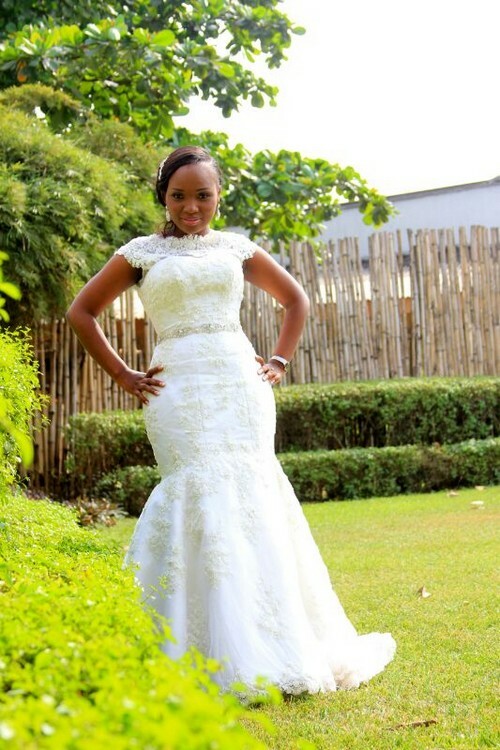 From an early age, long before Tosin even met her groom, she had dreamed of walking down the aisle in a bespoke designer wedding dress – one that is different from any other, specially crafted with her very own vital statistics, and made personally by a World-class bridal designer. That’s not all, she knew who the dress designer would be. 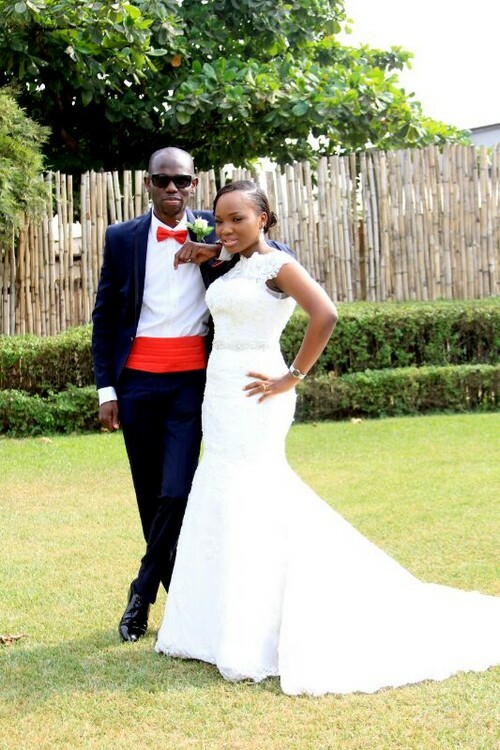 So, when Tosin and Dapo decided to tie the knot in Nigeria, it was time for her to bring her wedding dreams to life, and that started with her contacting her dream wedding dress designer – Nigeria’s award-winning, London-based, Yemi Osunkoya of Kosibah Couture. 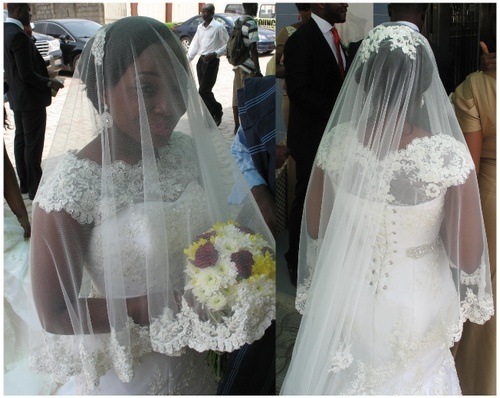 Read on for the full story of Tosin and Dapo Lam Adesina’s two-day wedding event in Nigeria. We met 7 years ago during my National Youth Service in Ibadan. We became friends and kept in touch even after I left the country (Nigeria) for my Masters Degree in the States (USA). We evolved from being friends to becoming a significant part of each other’s lives. We got engaged in August of 2013 but the wedding planning process did not begin until December. One of the very first steps I took after I got engaged was to contact my wedding gown designer. Proper planning started in January 2014 and I must confess it was a lot, especially because I had been in Abuja all the while (because of work), So I really just had about 7 weeks to plan the entire wedding. I started off doing the planning by myself, with help from my mum and sister-in-law. When it was getting somewhat overwhelming we contacted a wedding planner/coordinator who took over from there. I was still quite involved and by the time it was about 2 weeks to the wedding my husband (then fiancee) insisted I stayed out of it and let him handle the rest. I had always said to myself, right from when I was a teenager, that Yemi Osunkoya of Kosibah Couture would personally design my wedding dress. When my mum and I contacted him, he immediately got into it and requested that I come to London as soon as possible to see him (to create my special dress design, take my measurements and to do dress-trials and fittings). I was in London for four days and I had to see my designer (Yemi) everyday of the four days. By the time I left London I was super confident that my dress would be fabulous and I was daily visualizing me walking the aisle in wedding dress. My Kosibah designer wedding dress was fabulous. It fitted perfectly and I just felt out of this world. The wedding gown was so comfortable and perfect that I didn’t want to get out of it at all. I had planned a change of clothes but I didn’t change until very late, when the party was almost over. The wedding was a two-day event (traditional engagement ceremony and white wedding). When I remember the days, I beam with so much smiles and joy. Everything went well and so quickly too. I remember walking into the church and I was amazed at the number of people present. We felt honoured to have so many people come to celebrate with us. I look back now and just cherish every single moment of both days. It was indeed beautiful and I am so thankful to God and everyone that was a part of it. Venue: Etal Hotels & Halls, Oregun, Lagos. Wedding Reception Venue: Yard 158, Kudirat Abiola Way, Oregun, Lagos. Want Your Own Wedding Published Here? Contact us via social media or email us at naijaglamwedding (at) gmail (dot) com or submit your wedding/ proposal story/ bridal shower and more by clicking here. So you see, dreams do come true , even wedding dreams – if you work at it. So ladies, hold on to your wedding dreams – whatever it is. Leave us a comment – which part of this real wedding is your favourite? Oh, don’t forget to Facebook/ tweet/ Google+1/ email this post to your friends.